Would you like to become a Pure Spirit Creations Affiliate Partner? I’m thrilled that you are interested in become an affiliate partner. Here are some commonly asked questions and their answers. Why would you want to help me promote my products as an affiliate partner? 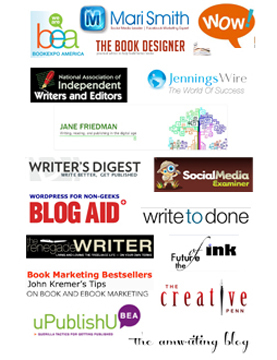 You can provide your readers and followers with valuable resources from an expert you know and trust. When you join my free affiliate program, I’ll pay you between 20 and 50 percent on every product sale you refer. An affiliate or referral program is a revenue-sharing or referral agreement between an expert with a product and a person who wants to promote that product because he or she knows others who could benefit from that product. You MUST use ethical marketing methods to promote our products. You cannot use unsolicited emails (or spam). You may NOT promote any of my products via sites or marketing that, in my opinion, contains offensive or inappropriate content. Do NOT use your affiliate link to purchase any of my products. When you join my affiliate program, you’ll receive a special link you’ll use to send visitors to my sites or to a specific program or product I offer. Your unique affiliate ID will be embedded in that link so my team knows the visitor came from you (and so we can give you proper credit) if that visitor makes a purchase. This ensures you get credit for each sale. Use your affiliate links every time you refer people to a product or program. I am not responsible for applying commissions from improperly formatted affiliate links. Commissions are not payable for current clients or clients who are in our database that did not originally sign up via your affiliate link. Should you be awarded a commission sale in this situation, the commission will be marked as void and your total earnings adjusted accordingly. You do not receive commissions on refunded products or programs. You’ll be paid directly through PayPal. You can login to your affiliate account anytime to check your earning stats. Payments will be processed following the 30th day of the order, to account for cancellations or bad payments. For recurring payment programs/courses, payments will be processed 30 days after each monthly pay. For programs/courses paid in full at the time of ordering, payments will be processed 30-60 days after the program starts, and commissions will be paid in installments to account for cancellations or withdrawals. I will then approve your account, and you will be ready to start promoting my products and providing your followers with highly valuable resources!